This is the 5th installment of the Proper Party series my buddy DJ Petey C has hosted. This edition was a picture perfect venue called the "Smart House" located in Mt. Washington, overlooking the awesome skyline of our city. This house gets its name from the technology and contemporary architecture its owners put into their creation. Despite some rainy showers for a few minutes the evening was a great success. This was by far the best Proper Party to date and will be hard to top. Below are some pictures and recap video I put together. The city of Pittsburgh held an awesome "big screen" party in Market Square (similar to the one's held at Consol for the playoff hockey games) for the USA vs Belgium World cup game. Mayor Bill Peduto, Rich Fitzgerald, and radio hosts Mikey and Big Bob were in attendance. 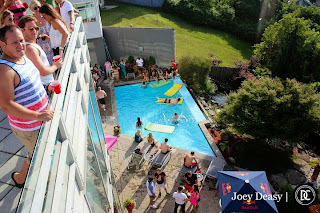 I went down to shoot video for my good friend DJ Petey C and got some cool shots of the event. Below are some of the pictures and a highlight video of the day. Last week Club Zoo hosted one of the OG's in the rap game, Juicy J. 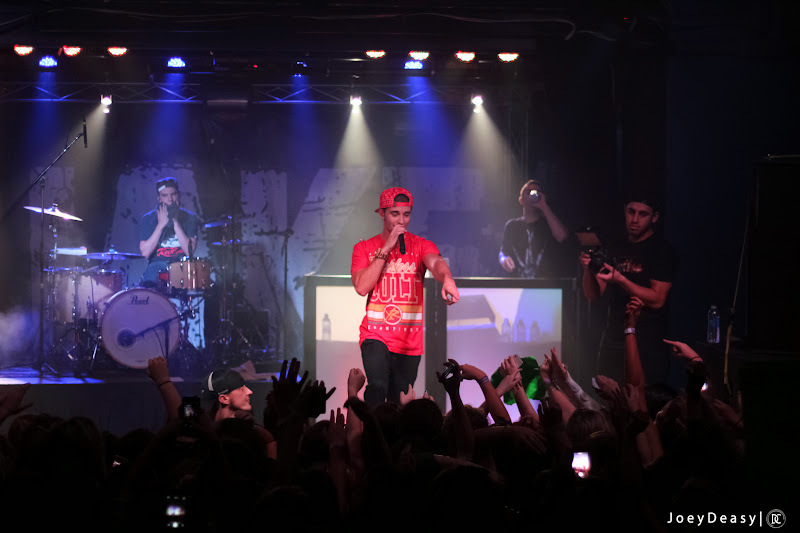 The past couple years he has absolutely Re-Exploded after some great tracks with Wiz and pop stars Katy Perry and Miley Cyrus. This show he performed old and new songs alike and rocked the stage for some time. 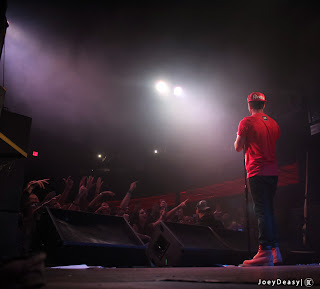 Opening acts were DJ's @PeteButta @djYEMI @djScholar as well as Project Pat and Travis Scott. The all ages crowd rocked all night despite the warm temperature and awful stage management from Juicy J's camp(This deserves a post in itself). Big thank you to Club Zoo and Chris Firman. This video was fun to shoot for my good buddy @DJPeteyC. He started his Saturday residency at Diesel Nightclub in Southside during this past Summer. Since then their Saturdays have been taken to a new level. Watch this quick edit of some of the cool shots from the club and lots of confetti, LOTS. Since 2010 I have been providing the sound equipment and DJ'ing for the annual LambJam event at Penn State University. This "daylong" event has been going on for years along with a few others who have grown to have quite a following. The all day affairs have become a tradition of PSU despite the difficulty of getting them approved in recent years. Daylong events are suppose to be an all day event that focuses around a musical act, outdoor activities, or various other themes. One thing that we have learned from organizing these events over the years is the lack of rules in place to govern daylongs by the State College police. The only rule we have been told by the officers themselves is that the discretion is completely up to them for when to put an end to these events. While that is totally fine, there needs to be other rules in place to assure a successful daylong. Greek organizations are shelling out thousands of dollars to rent sound systems, fence, logistics, and musical acts only for their events to be shutdown before the acts can perform. This years LambJam lasted about 3 hours before it was shut down by police. The day was still fun and always an event I look forward to doing every year. Unfortunately at the rate it is going I doubt that daylongs will exist in the next few years, until then take a look below at a glimpse into a very cool tradition that is unique to PSU. Over the past year I have been very fortunate to travel out of Pittsburgh to some awesome states and even across the big pond to some awesome countries. While traveling I took tons of pictures and videos. Some of these I have released but most are sitting in the archives and let me tell you there is some great footage that needs to see the light. I created a YouTube series called the "Lost Tapes", that will be a combination of short "highlight" reels of some spots and others that are mini behind the scenes documentaries. Here is the first one we released today where I traveled to Washington D.C. with @DJPeteyC to check him out playing with D.C.'s own Redbull 3style Champ @DJTrayze. These are a few clips from their nights at Club Eden and Little Miss Whiskey's. 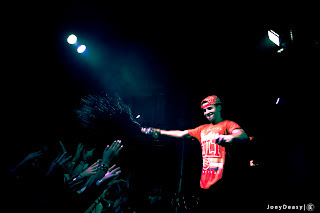 This was my second time shooting pictures of Jake Miller at the Altar Bar. The first time I had no clue who this kid was but I have been a fan since. Fresh off signing with Warner Brothers this kid has the entire package. He has great stage presence which made me a fan the first time around and was shown tonight through his interaction with the fans. He also is backed by a solid team that excels in their various fields. When you reach this level the artist has to be great but the team surrounding them has to be even better. 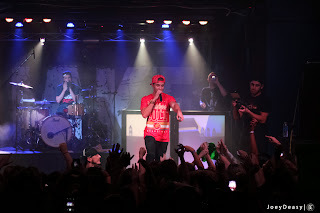 The show was a packed, sold out house, and the floor was literally shaking to the beat. Big thank you to Jake, Scooter, Joey, JP, Edgar, and the other guys for letting me come through and shoot some pics. Here are some of highlights, enjoy.